Thinlits™ create dazzling detailed shapes for more creative cardmaking and papercrafting projects. These wafer-thin chemical-etched die sets are designed to cut a single sheet of cardstock, paper, metallic foil or vellum. 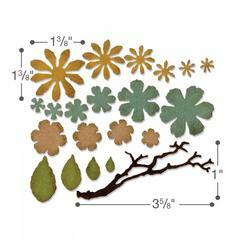 Use them for enhanced intricacy and to add a special touch of inspiration to all your projects. 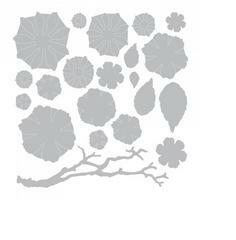 Select designs are also available with coordinating embossing folders for cutting around your embossed images. Thinlits Dies are compatible with Big Shot™, BIGkick™ and Vagabond™ Machines with the machine’s included platform; when using the Essentials Platform or Solo Platform & Shim, the Extended Adapter or Solo Adapter is required. These die can also emboss when the machine's included Platform is combined with an Impressions Pad and Silicone Rubber sheet. The diagrams on the Platform offer easy guidelines about how to make the perfect Sizzix sandwich. To stencil, place the die over desired material and apply ink or chalk to the die indentations. 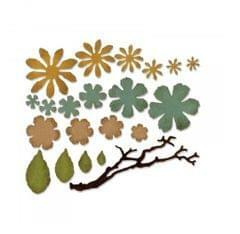 This technique can be used alone or to enhance embossed designs.